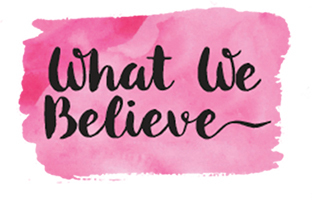 Hey Mamas…this post is for you! We are a couple of weeks into summer at our house. I love summer time…but the days can be long. 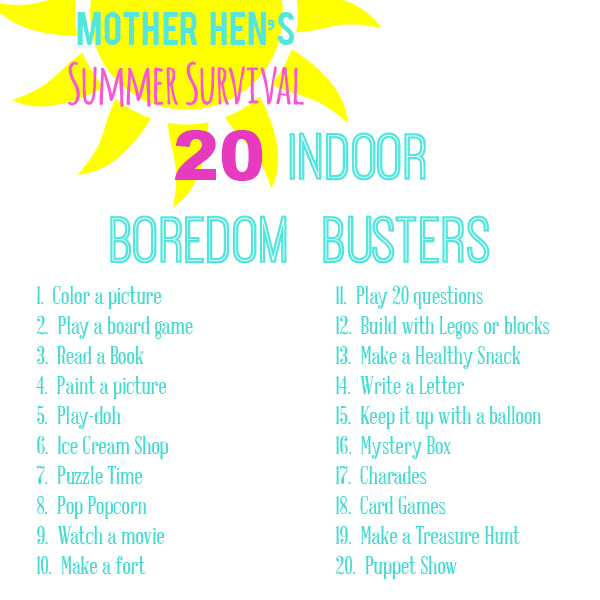 My kids are always wanting activities…and needing ideas of what to do! Especially in the afternoon after chores, errands, and reading. 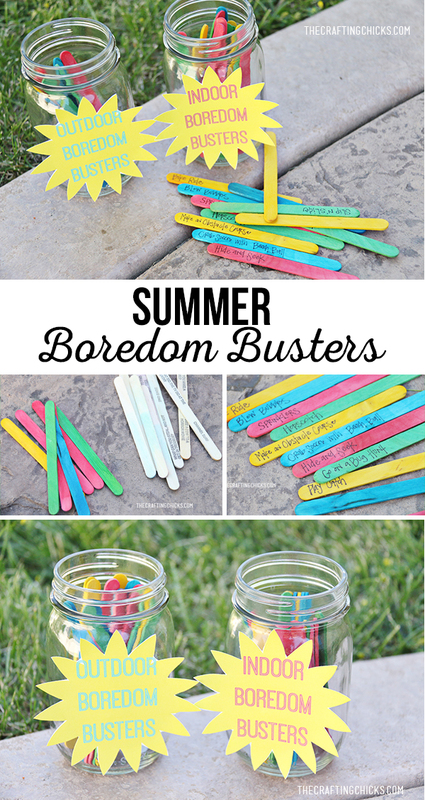 Today I’m sharing some awesome boredom busters to make any mom a “super hero” this summer! 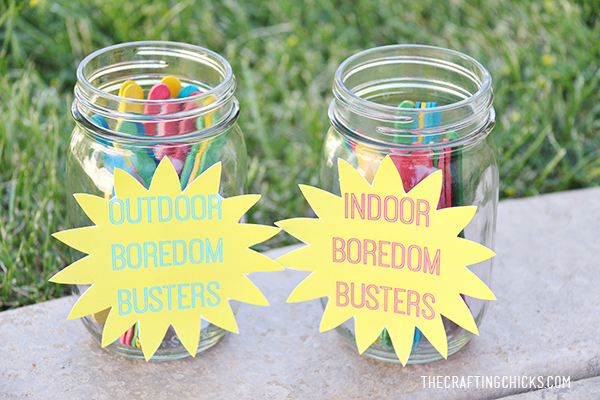 40 Indoor and Outdoor Boredom Buster ideas..in our Boredom Buster Jars! The kids can never say they are bored again! 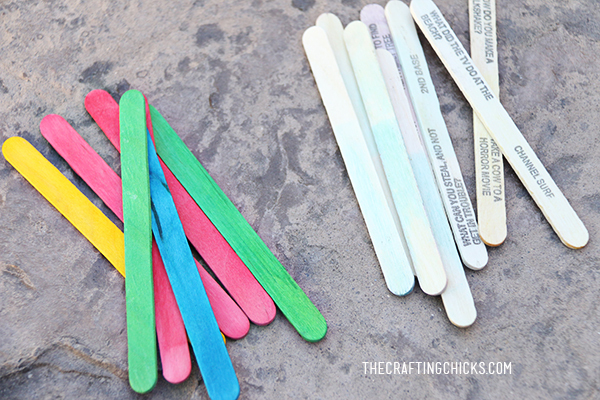 And a tip…Popsicles! That helps us get through each day with happy kids…and a happy mom. 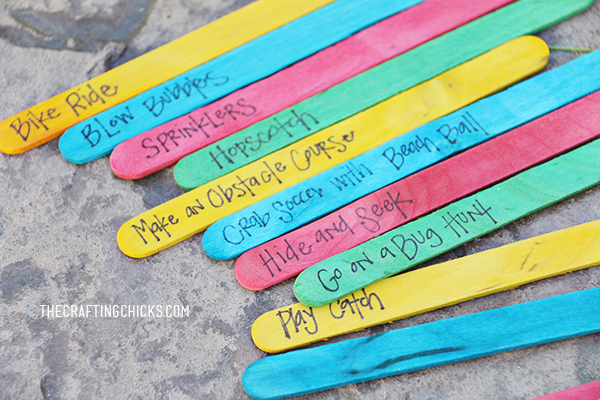 We use popsicles for rewards…and for fun playtime outside. It’s a nice break between activities, to just sit in the shade with a yummy cool treat. On the sticks, write ideas with the thin black sharpie marker. 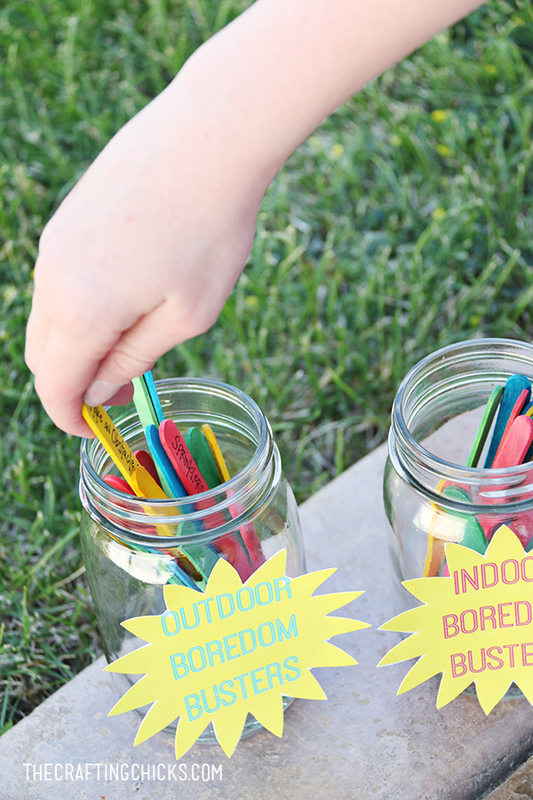 Attach the labeled tags to the jars…and you are set! 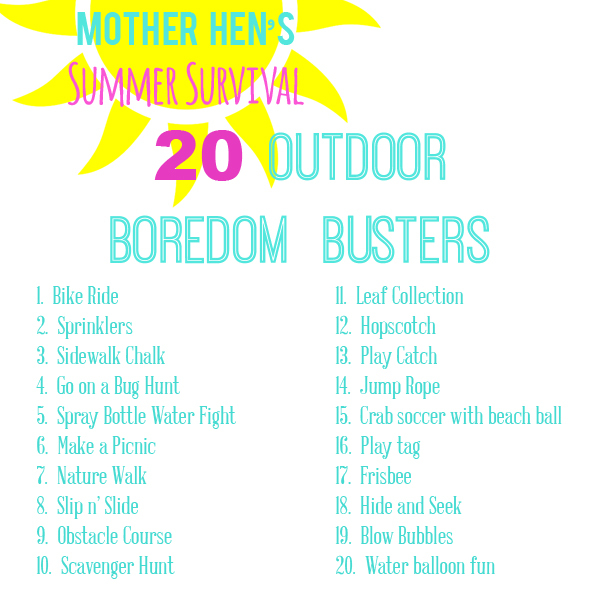 So easy and simple and will help kids and moms all summer long! 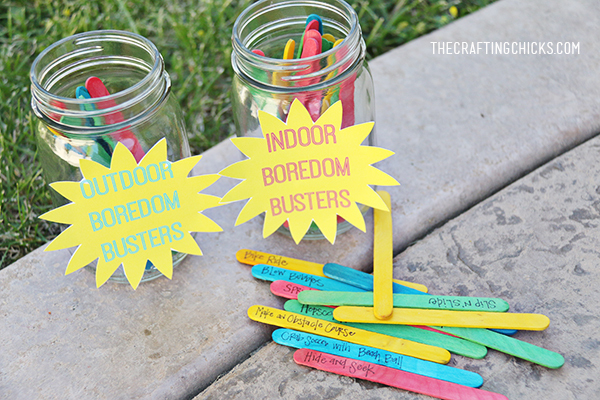 When the kids are bored, have them grab a boredom buster idea! Outside or Inside…you choose. 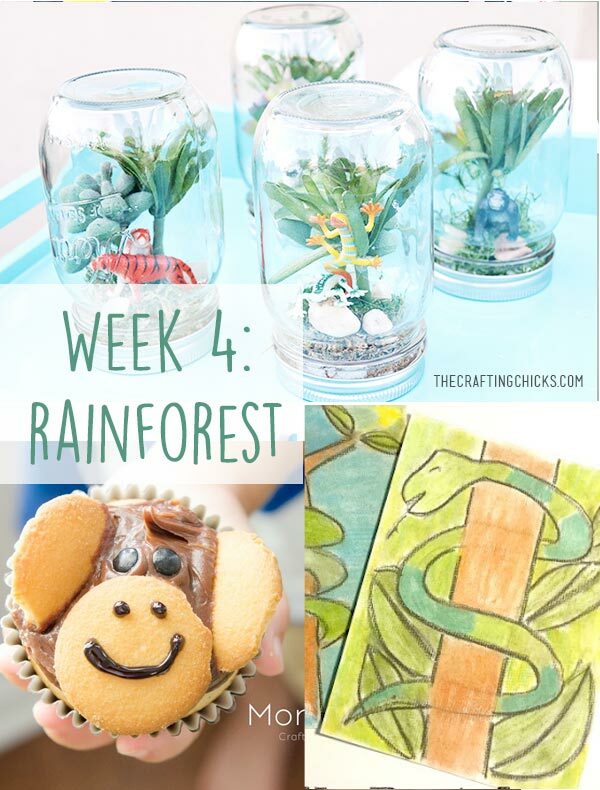 All of these ideas are easy and inexpensive! And so much fun! 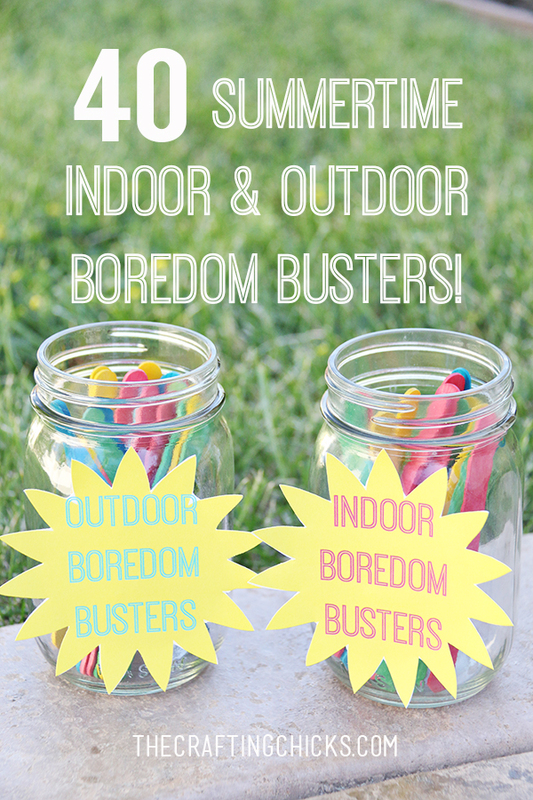 I’m sharing our list of ideas for indoor and outdoor boredom busters. 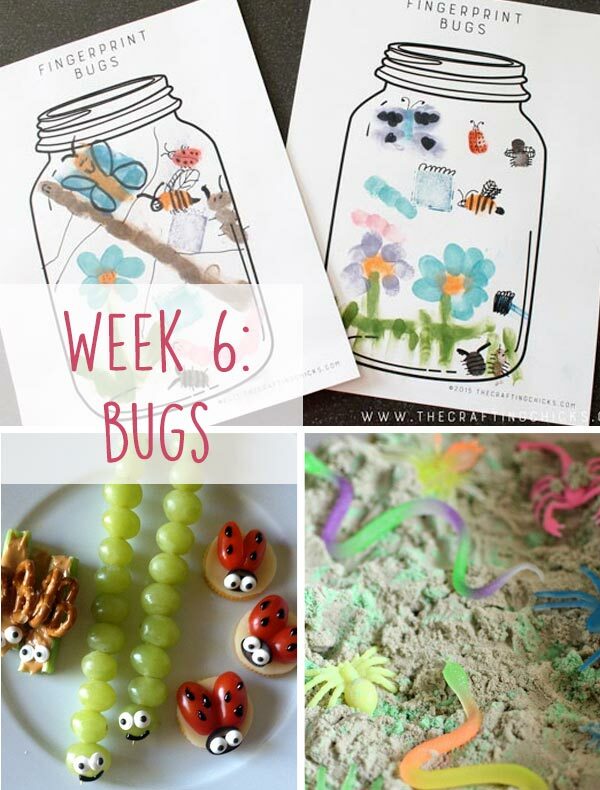 You can use these activities or choose ideas with your kids depending on ages, ability, etc. 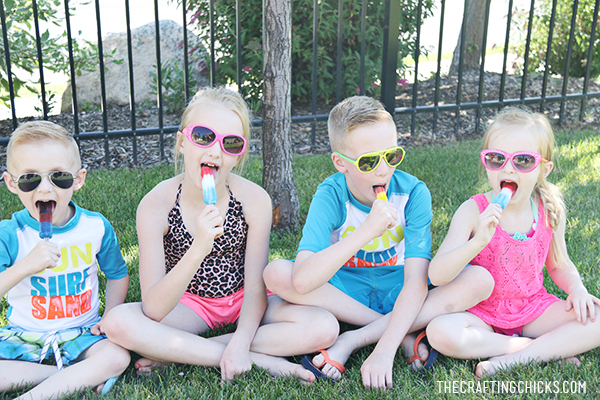 And…we have some great news…Target has an amazing sell on popsicles this summer! 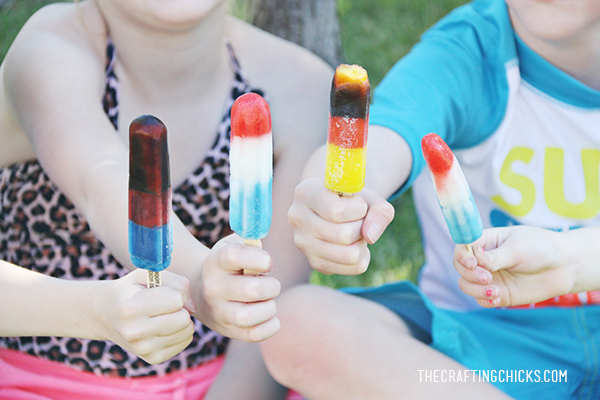 2 packs of the Popsicle Brand (so many to choose from including the ones below)….2 packs for 6.50 until July 4th! Run in and stock up! 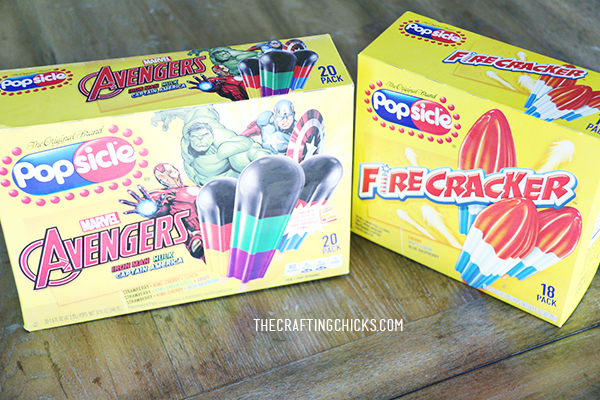 My kids have tried most of them and love the firecracker (perfect for the 4th of July) and Avenger Popsicles. Now for a fun giveaway…you can win a $25 Target gift card just for retweeting a message! So make sure you are following @craftingchicks on Twitter! Good luck! 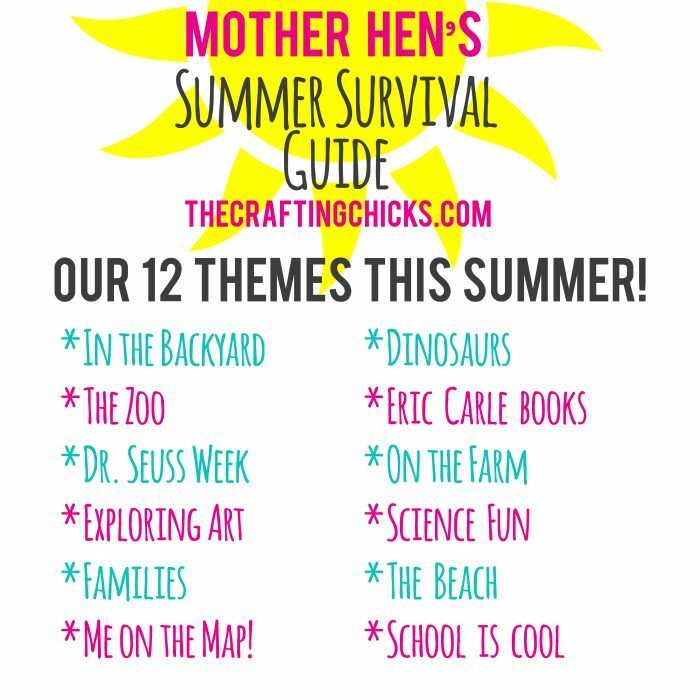 For more ways to keep the keeps entertained this summer check out our Mother’s Hen Summer Survival Series. 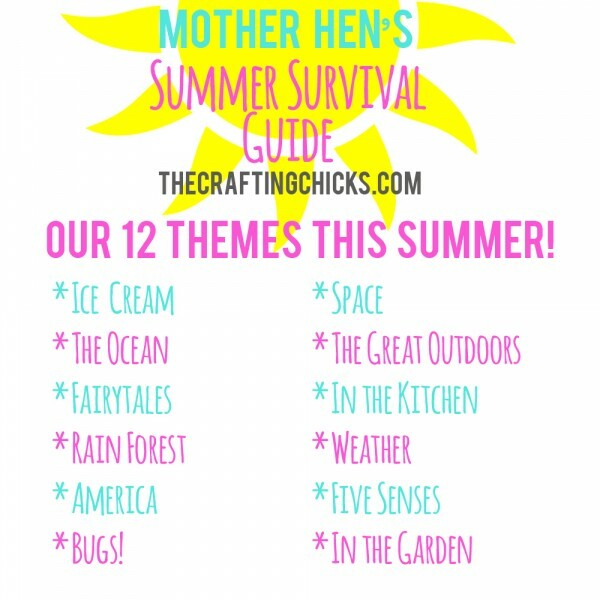 Weekly themes with activities, books and kids to help you not only thrive, but survive this summer!